British car buyers have been urged to choose only top rated cars for safety after new research revealed a worrying trend that could be costing lives. When it comes to sales of new cars that are ranked best for pedestrian protection in crashes, the UK lines up 19th of the 28 European countries. According to the executive director of the Parliamentary Advisory Council for Transport Safety (PACTS), this could be preventing Britain from cutting deaths to vulnerable road users such as pedestrians and cyclists. Compared to other high-performing countries in Europe, the UK has more deaths per head of population among vulnerable road users. Britain has a higher ratio of 18 to 24 year-old road user deaths in relation to other age groups. We also have a higher proportion of deaths on roads with speed limits of 60-70mph. And Britain has more deaths per mile of motorway and more deaths occurring at junctions than most other EU countries that record the data. 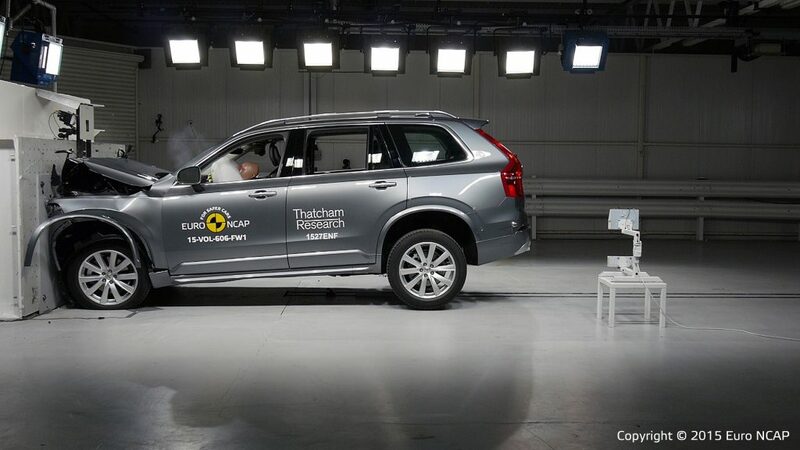 According to PACTS, 88 per cent of the new cars currently sold in the UK have five EuroNCAP stars – the highest safety classification. But just 59 per cent have the top ranking for pedestrian protection. The European New Car Assessment Programme crashes cars in controlled conditions. It then rates them for safety out of five stars. It assesses cars for head-on and side impacts and how well they protect adult and child occupants. By using crash test dummies, it also looks at what happens when a car collides with a pedestrian. This enables it to gauge how the front of each car is shaped and where the danger points for pedestrians are in an impact. The angle and height of the front end and bonnet have make a significant difference between models. Although PACTS undoubtedly has a point, it’s not that simple for us car buyers. This is because a car with five EuroNCAP stars overall might not be the best at protecting people outside the car. The safest car on sale is currently the Volvo XC90. The large SUV is considered a five-star car after recording 97 per cent for how it looked after its adult occupants and 87 per cent for child occupant safety. But it only scored 72 per cent for pedestrian protection. However, the best car for pedestrian protection is currently the Mazda MX-5 sportscar. It scored 93 per cent in this area yet overall, it was only considered worthy of four safety stars. IT ALL COMES DOWN TO A DRIVERS OVERALL BUDGET, I BELIEVE THE LOWER CARS ARE CHEAPER TO BUY THAN THE HIGHER RATED ONES, JUST LOOK TOWARDS THE TYPICAL GERMANS AND THEIR CARS THEY HAVE THE MONEY AND THE CARS!! I have only bought one car based on how safe it was and that was for my better half and was bought because of how safe it was for the occupant. It might sound selfish, but I am being honest, I am not likely to ever buy a car based on how safe it will be for somebody if they happen to land on it. Looks, horse power and top speed are the main priorities. Maybe safety will be more appealing to generation snowflake?